Black Brook Farm Grow­ers 2012 CSA has been filled! We’re all get­ting really excited for this year, and we’ve all got a lot to do to get ready. 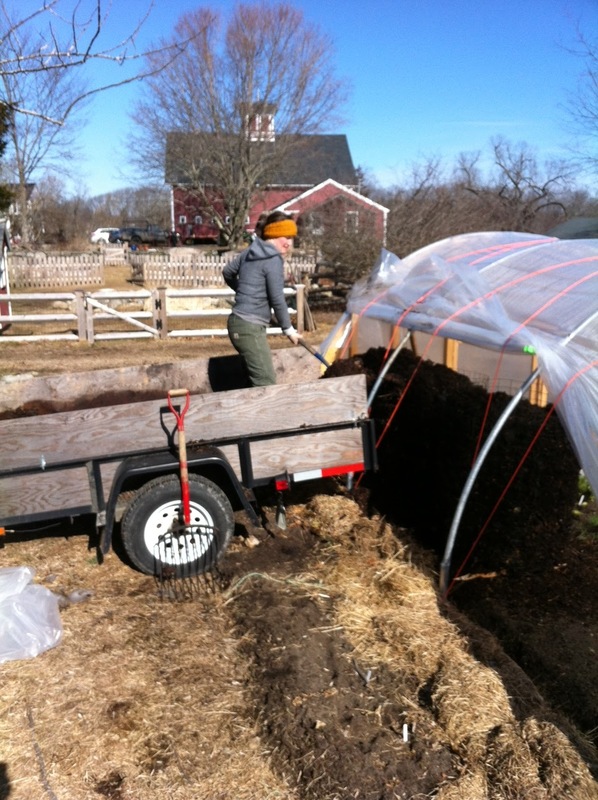 Our seeds have all arrived and we’re going to start plant­ing this week. My mom has been bravely tack­ling a fresh set of spread­sheets (in order to set up our plant­ing and har­vest­ing sched­ules), Dave and I are work­ing on a new web­site that we’re hop­ing launch­ing this year and we’re talk­ing about clean­ing out a sec­tion of the barn for our new CSA pick up spot. Carlisle Grows Green the new Carlisle School gar­den­ing and com­post­ing pro­gram has been nice enough to give us their com­post. 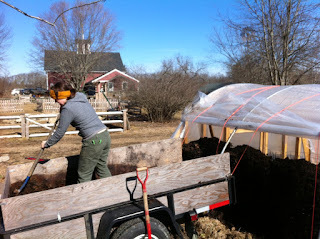 Yes­ter­day Dave and I shov­eled it into the hoop house, where the warmth will hope­fully speed up it’s progress. 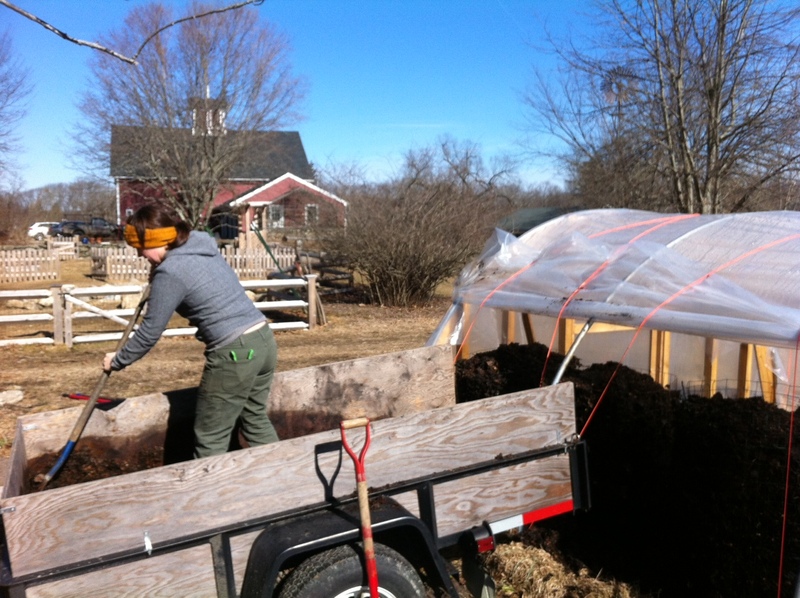 « Spring and our new CSA room!